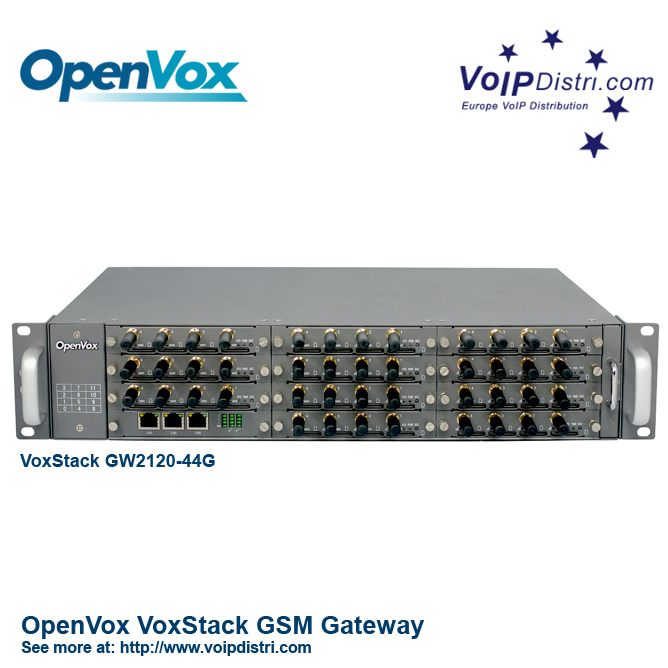 OpenVox Communication Co., Ltd, a global leading provider of best cost effective open source Asterisk telephony hardware and software products, has announced to release a 2U high-density VoIP GSM Gateway that supports up to 44 GSM channels, the VS-GW2120 Series. The new Gateway maintains the innovative hot-swap design to support GSM interfaces, leading the high density VoIP GSM gateway to a completely new vision. The VS-GW2120 Series with the Modular Design comes with 11 plug-in gateway modules and 3Ethernet ports. Like all the OpenVox GSM Gateways that we have introduced to the market, the new one is also developed for interconnecting a wide selection of codecs, including G.711A, G.711U, G.729, G.722, G.723, G.726 & GSM, supporting diverse SIP, IAX2 signaling protocol, to quickly reduce telecommunication expenses and maximize cost-savings. With the unique design of the VoxStack Gateway, they can support hot-swap for gateway modules. Users can simply add or remove the modules for hardware expansion or exchange. Each gateway module runs an independent asterisk system inside. The VS-GW2120 Series gateway will be ready for worldwide shipping today. 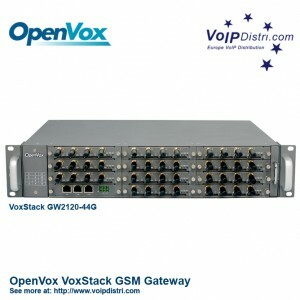 Please contact us at openvox-voxstack@voip-gateway.net for any enquiries. OpenVox and the OpenVox logo are the registered trademarks of OpenVox Communication Co Ltd. All other trademarks are the property of their respective holders.